 The Hotrox are a live music agency who provide the Country's best session musicians in bespoke live music packages. Whether it's a corporate event or wedding, a special occasion or private exhibition, The Hotrox can offer incredible 'one-stop’ entertainment solutions that include a professional sound team, PA system, stage lighting and unbeatable live band. Having completed over one thousand weddings and two thousand corporate events … there really is no event too large or too small for The Hotrox to entertain. The Hotrox Live Music Agency have a history steeped in professional show business. Here at The Hotrox Live Music Agency, we have a history steeped in professional show business. After performing for and touring with acts such as Girls Aloud, Enrique Iglesias, Westlife, Delta Goodrem, Danni Minogue, Ronan Keating, Danny Jones and most recently Susan Boyle, the company's founder Alex Pick has enrolled some of the Country's best session musicians on to The Hotrox roster. Alex personally vets each musician to ensure that every band meets the highest possible standard in live performance, every time. With a top class event management team, you can be sure that however large or small your event is we won’t ‘just’ provide live music, we will take pride over the presentation and running of your event, and tailor it to your every need. Whether you are having a small birthday party for thirty or forty guests or a mega event for your international staffing body, hiring The Hotrox is a way of guaranteeing that once the desserts have been served and the speeches are over, all of the people will be on the dance floor...all of the time! 2016 Webbi LTD - All Rights Reserved.